My 75 days of Ink only is still proving to be fun and even more educational than I realized. I am using all kinds of different references–my own photos, life drawing, magazines and books. I don’t normally use resources that aren’t my own, but I am just learning after all. I am trying not to take each sketch so seriously. The fish resource is from a book I found in my studio, I forgot I had it. It’s called Animals 1419 Copyright-Free Illustrations of Mammals, Birds, Fish, Insects, etc. Selected by Jim Harter. It’s AWESOME! That is where the fish came from. They are all black and white. 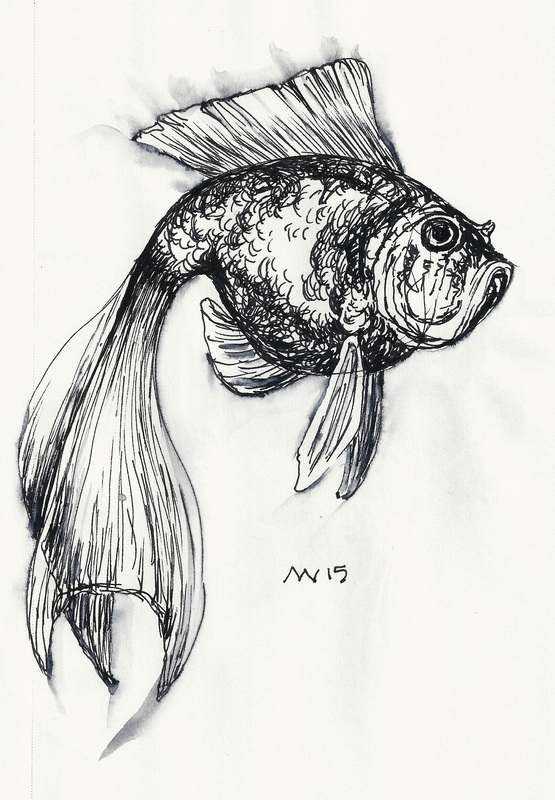 I did a quick sketch of this great fish–the book says its a type of gold fish. Then I thought–this might be fun with some imaginary color. A lot of fun! I think that the first black and white only sketch is actually nicer, but I felt like adding the color from my imagination was a good experiment, one I will work on improving. I used a water soluble disposable fountain pen and inktense pencils. The water soluble pen offered up some nice surprises. Goldfish black ink only. Quick sketch. 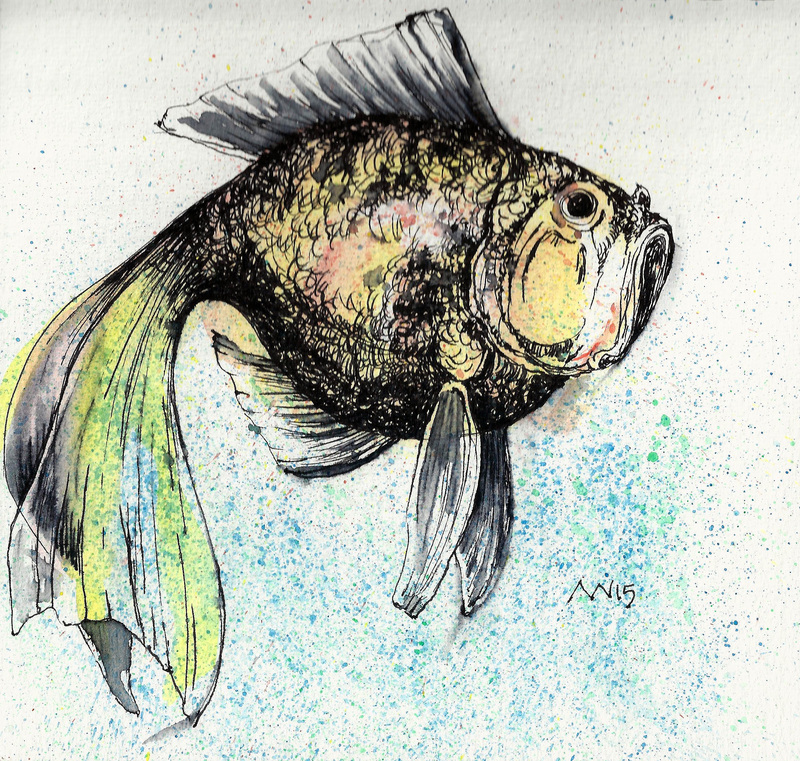 This entry was posted in animal, art, art journal, drawing, fish, goldfish, ink pen and tagged art, art experiments, art journal, artist, arts, goldfish, ink pen, inktense, sketch. Bookmark the permalink. Love both. Frame! and keep! thanks Karen! I am finding the water-soluble pen a little scary, but feeling good embracing the unexpected results.